So you’ve scored a great recipe from Epicurious. Now what? Fact is, how delicious your food will be doesn’t just depend on how many forks that recipe earned. The right gear in the kitchen will make all the difference between a dinner you can brag about and one you’d rather forget. 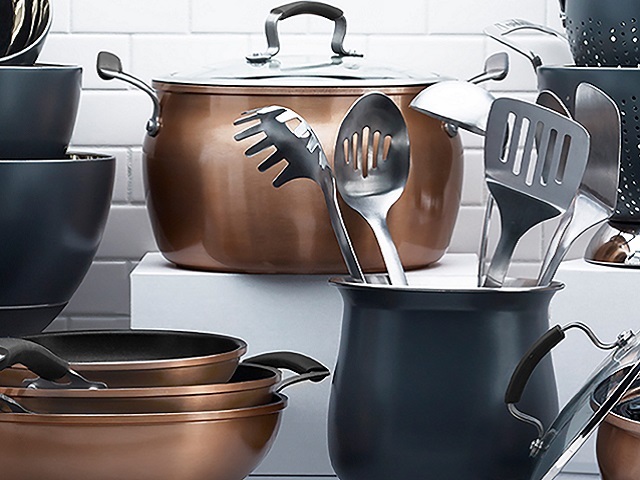 That’s where the Epicurious line of cookware and kitchen tools comes in. Our Test Kitchen has, yep, tested each piece in the collection to ensure it delivers all the performance (and style) that a curious and creative cook needs. Think of our cookware as your ally in the kitchen—right along with the recipes, videos, and cooking advice you find on the Epicurious website and in the Epicurious app. We’re rooting for you to pull off everything from hectic weeknight meals to epic feasts with our cookware in your corner. And when you do, don’t forget to tag @epicurious as you share your triumphs. That way we can brag, too.